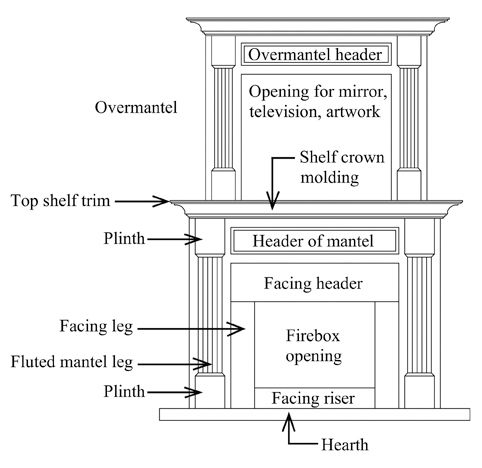 Affordable and attractive, the Somerville traditional fireplace mantel surround is a popular design with top offset ridged molding on each wooden mantel leg and simple dentil molding under the top shelf. Each fireplace mantle surround is handcrafted to give years of beauty, durability and style to your home. The Bravada is available in six woods and a variety of finish options! 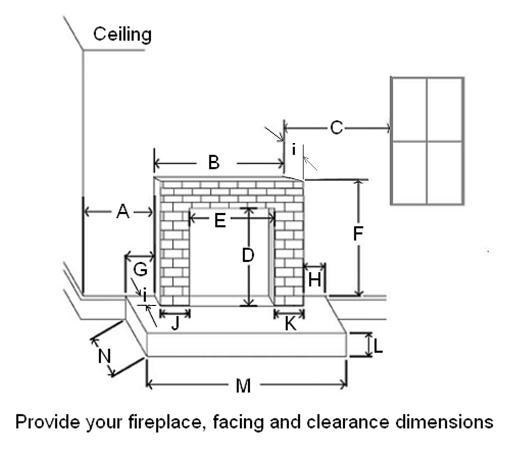 Shelf Depth = 7" when Return Depth is 1 1/2"
Shelf Length = Mantel Opening Width + 18 1/2"
Equals Facing Thickness "I" plus (minimum) 1/2"
Your mantel size may need to be altered due to obstructions on the fireplace, the wall, or the hearth configuration. We will try to address this in our line drawing reply to you. 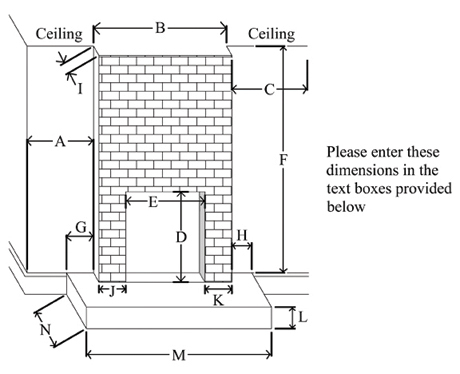 Once you complete the checkout process, your measurements and selections will be reviewed by Design the Space. 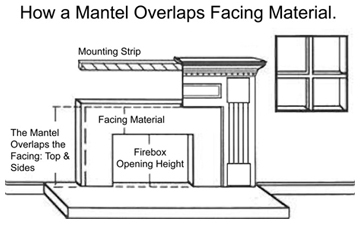 To insure accuracy, proper fitting and customer satisfaction, you will receive a dimensioned line drawing of your custom mantel via email for your approval BEFORE your mantle is built and BEFORE your credit card is charged. 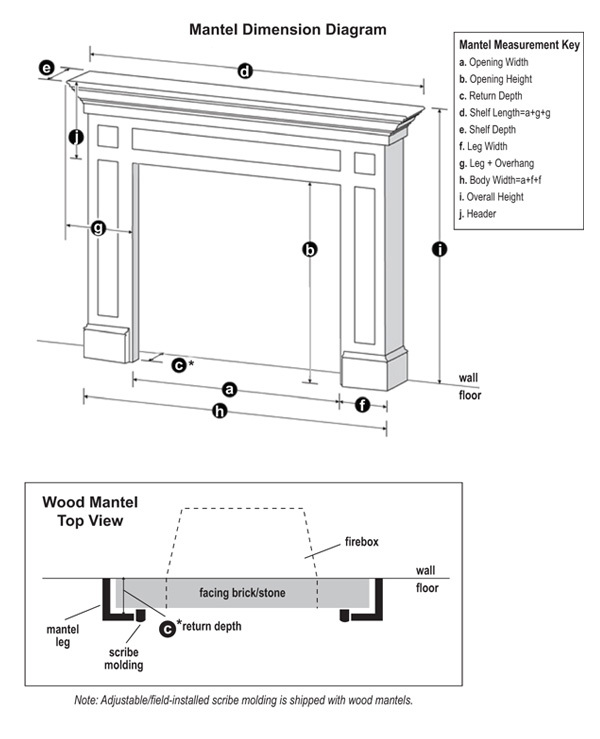 Click the button below to add the Somerville Custom Wood Fireplace Mantel to your wish list.